Portland urban wineries are just plain cool, and I had to write an article to share the inside scoop. 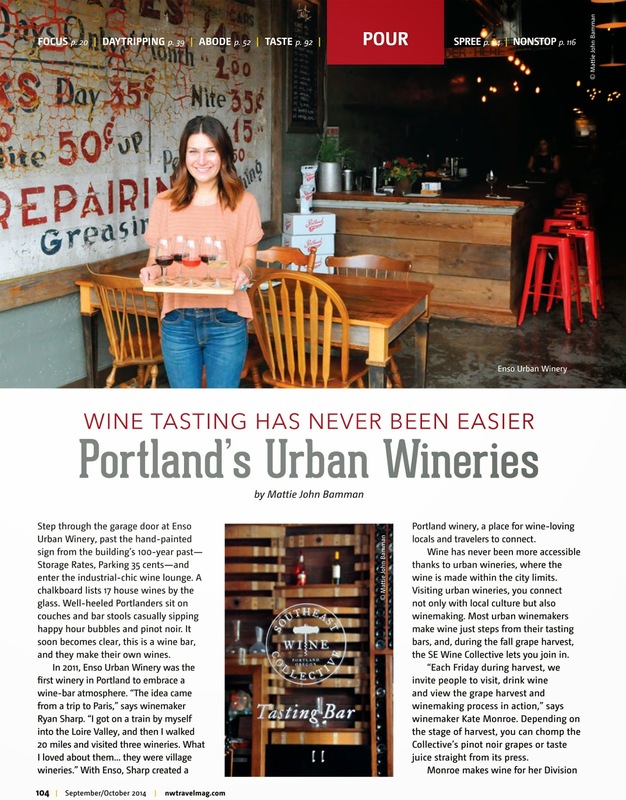 The full article includes travel-guide-style information on how to go wine tasting at Portland's urban wineries. 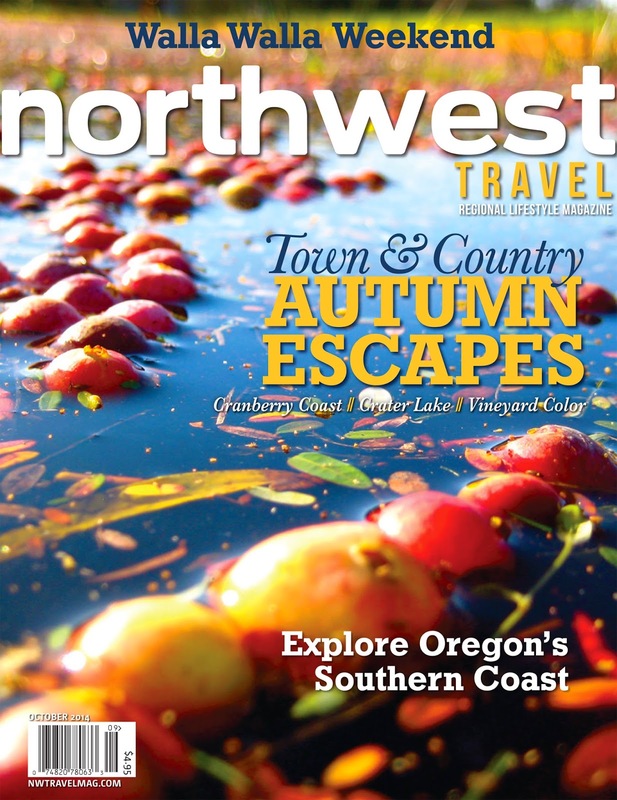 So happy to see my photos included in this Northwest Travel Magazine piece! Step through the garage door at Enso Urban Winery, past the hand-painted sign from the building’s 100-year past—Storage Rates, Parking 35 cents—and enter the industrial-chic wine lounge. A chalkboard lists 17 house wines by the glass. Well-heeled Portlanders sit on couches and bar stools casually sipping happy hour bubbles and pinot noir. It soon becomes clear, this is a wine bar, and they make their own wines. In 2011, Enso Urban Winery was the first winery in Portland to embrace a wine-bar atmosphere. “The idea came from a trip to Paris,” says winemaker Ryan Sharp. 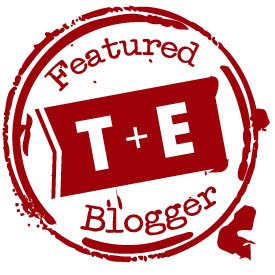 “I got on a train by myself into the Loire Valley, and then I walked 20 miles and visited three wineries. 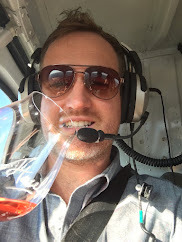 What I loved about them… they were village wineries.” With Enso, Sharp created a Portland winery, a place for wine-loving locals and travelers to connect. Wine has never been more accessible thanks to urban wineries, where the wine is made within the city limits. Visiting urban wineries, you connect not only with local culture but also winemaking. Most urban winemakers make wine just steps from their tasting bars, and, during the fall grape harvest, the SE Wine Collective lets you join in. To read the full article, look for this cover on newsstands or get a one-year subscription for $16.95 here.